Manufacturer & Exporter of Wooden Door Frames. Our product range also comprises of Wooden Doors, Designer Wooden Door and Sliding Wooden Doors. Being a customer focused organization; we are engaged in manufacturing, supplying and wholesaling a wide assortment of Wooden Door Frames. 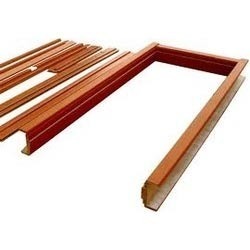 High grade wood and latest machines are utilized to manufacture the offered door frames following industry set guidelines. Besides, we make sure that these frames are timely delivered at clients’ destinations using easy shipment modes. Looking for Wooden Door Frames ?